Official Reseller of Own-X printers, ink, print heads and supplies! The SpeedStar is very fast - it can print up to 30 cm per second, making it the fastest inkjet printer of its kind. 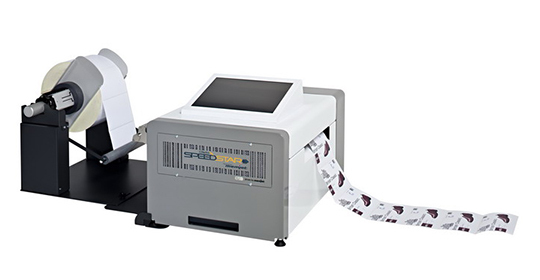 This means that you can print your labels extremely quickly, in turn saving costs. The speed of the SpeedStar comes from the famous Memjet technology printhead. This revolutionary printhead alone has more than 3,000 patents, making it truly unique. Every facet of the technology is built for speed. The real benefit of the SpeedStar is efficiency. Yes it prints fast, but it also enables you to print labels on demand, giving you more flexibility and creativity whilst saving you storage costs. With an integrated PC system (incl. easy-to-use touchscreen) you can simply add, edit or change your print jobs at any time. 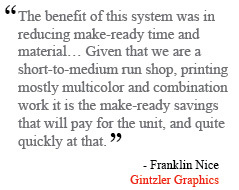 This gives you an unrivaled amount of flexibility in on-demand printing.